In 1492, Columbus sailed the ocean blue. 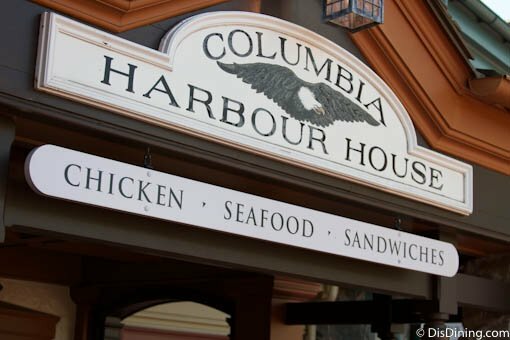 Four hundred and sixty-six years later, the Sailing Ship Columbia set sail on the Rivers of America in Disneyland, and fifteen years after that, the Columbia Harbour House began serving park goers at Walt Disney Worlds Magic Kingdom. The eponymous inspiration for Disney eateries, sailing vessels, and entire countries alike, Christopher Columbus, the sometimes controversial 15th Century explorer, has quite literally sailed from the history books into modernity. On your first visit to the Magic Kingdom, you may very well feel like Columbus, charting your course through the many lands and attractions, and plotting out your path on your folded pocket map. And to the casual Disney vacationer, the dining options at the Magic Kingdom may seem as endless as the waves on the ocean. 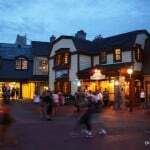 But to the annual passholder or seasoned Disney explorer, dining options can become limited, as you quickly learn that you can’t eat at character breakfasts and all-you-can-eat buffets every visit. Once this happens, you find yourself eating at the same places again and again, and if you’re lucky, you’ll find one place you truly enjoy. For my family, we staked our claim at Columbia Harbour House. Nestled between Liberty Square and Fantasyland, and sitting across from the Haunted Mansion is a New England-style stone building with windowbox flowers and dimly-lit tin lanterns. 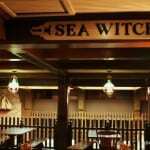 The smell of fried fish wafts from the open doors as a cast member, donned in colonial garb, rings a bell harkening diners to their tables. 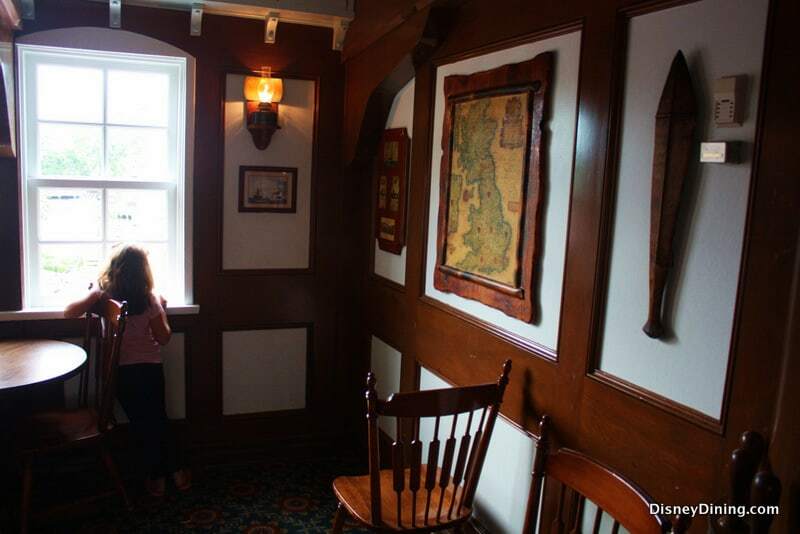 With numerous seafood offerings and more nautical decor than a Nantucket maritime museum – my family found our favored port of call years ago, and its great food and atmosphere continue to bring us back trip after trip. 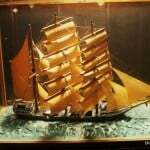 As an author of maritime mysteries and an avid sailor and diver, I’ve always been drawn to ships and boats, and all the dark wood, brass fittings, and nautical knots that go with them. The atmosphere at Columbia Harbour House feels like a pub in a New England seaside community, perhaps Cape Cod or Gloucester, and is brimming with maritime flotsam and jetsam. 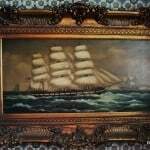 Carved figureheads, glass fishing floats, belaying pins, old ship wheels, harpoons, and antique diving helmets adorn every foot of shelf space, while the walls are covered with old charts, shark jaws, and beautiful paintings of ships on rough seas. 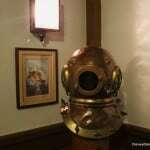 Overhead, port and stern lights glow green and red, and old oil lamps illuminate dark corners. 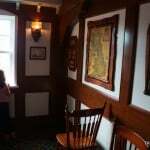 From stem to stern, the Columbia Harbour House looks and feels rustic and authentic, just the way we like it. 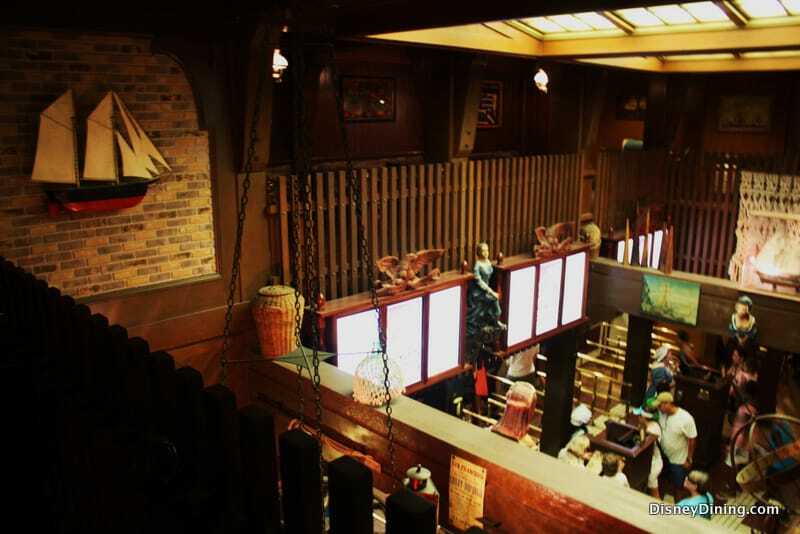 Whereas most Disney dining establishments are contained on a single floor, the Columbia Harbour House is unique in that it has two delightfully creaky dining floors for patrons to use. 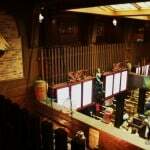 The first floor contains the ordering area and a number of distinct dining rooms. On the second are additional dining rooms, including one which acts as a bridge over the walkway leading to Fantasyland. Above the second floor, along the lengths of the room, are cantilevered beams resembling the ribs of a ship, giving the feeling that you’re inside the hull of a sailing vessel. 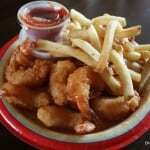 Columbia Harbour House offers a number of seafood menu choices for both lunch and dinner, and as a counter-service restaurant, all the offerings are well priced for the money-conscience vacationer. Popular entrees include the Anchors Aweigh Sandwich ($8.99) – a tuna, lettuce, and tomato sandwich served on multi-grain bread; the Fried Shrimp Basket ($9.99) – large shrimp fried to a golden brown; and the Lobster Roll ($9.99). 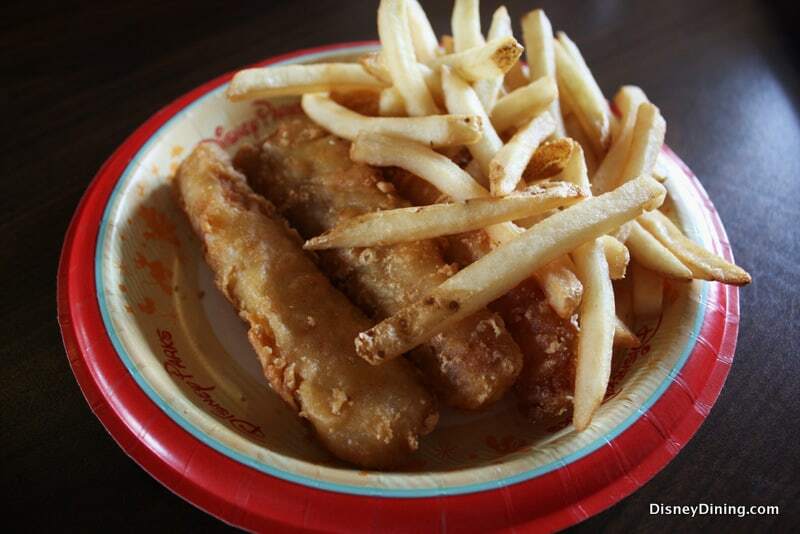 For kids, they offer Chicken Breast Nuggets, Macaroni and Cheese, or a Tuna Sandwich ($5.99 for each). My family typically orders the Fried Fish Basket, the Fried Shrimp Basket, and an Anchors Aweigh Sandwich, all to share. We don’t usually eat much fried food, but when at port we splurge a bit. 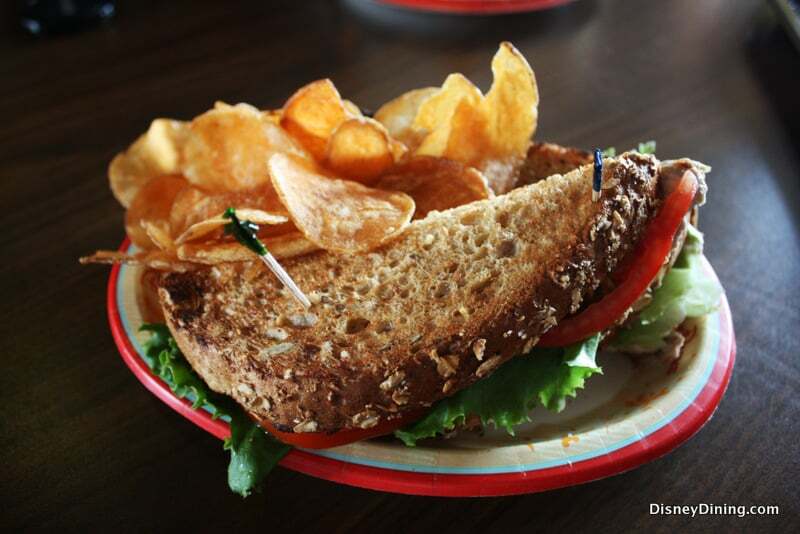 At other restaurants in the Magic Kingdom, it’s possible to eat in a truly fantastic setting – including interstellar space ports and enchanted castles. 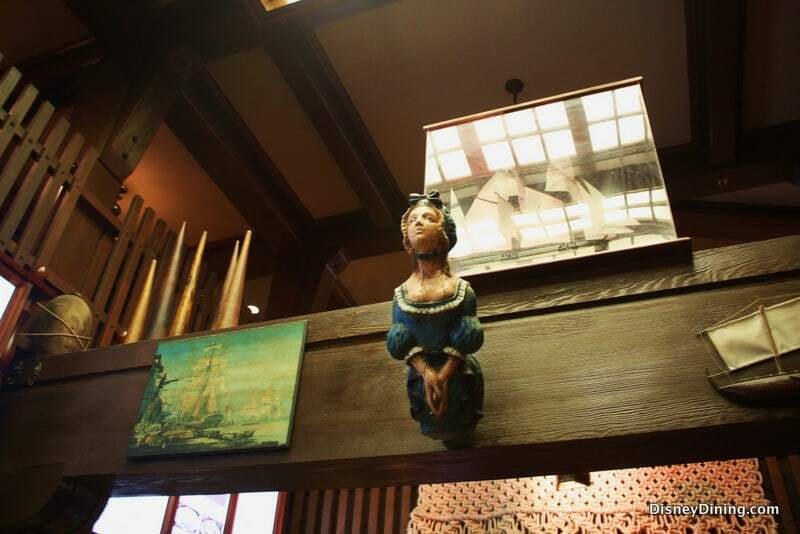 Dining at Columbia Harbour House is certainly escapism, but it’s not fantasy. 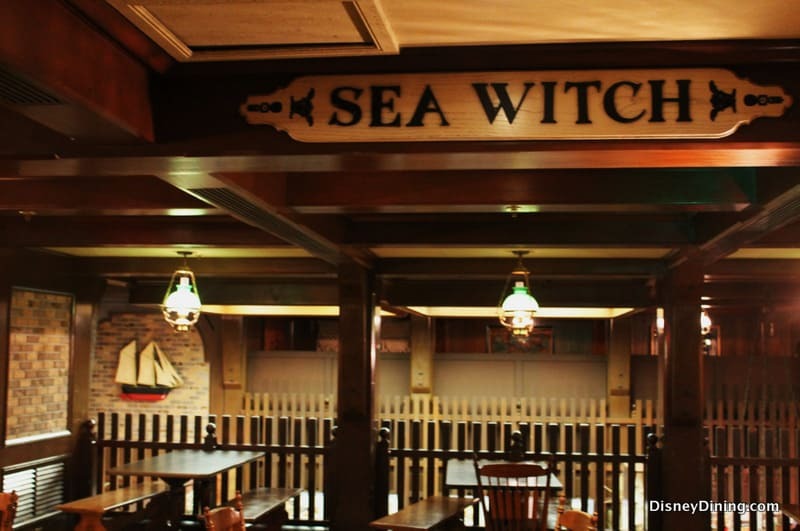 Whereas Prince Charming may be fiction, the sailors, whalers, pirates, privateers, fisherman, and explorers that inspired it were real, and the essence of these adventurous souls can be felt while dining there. Walt Disney had an affinity for all forms of transportation, from boats to trains to trolleys to cars, and as important to him as creating new, fantastic animated worlds, it was likewise important to him to honor the past and pay tribute to the pioneers that shaped history. 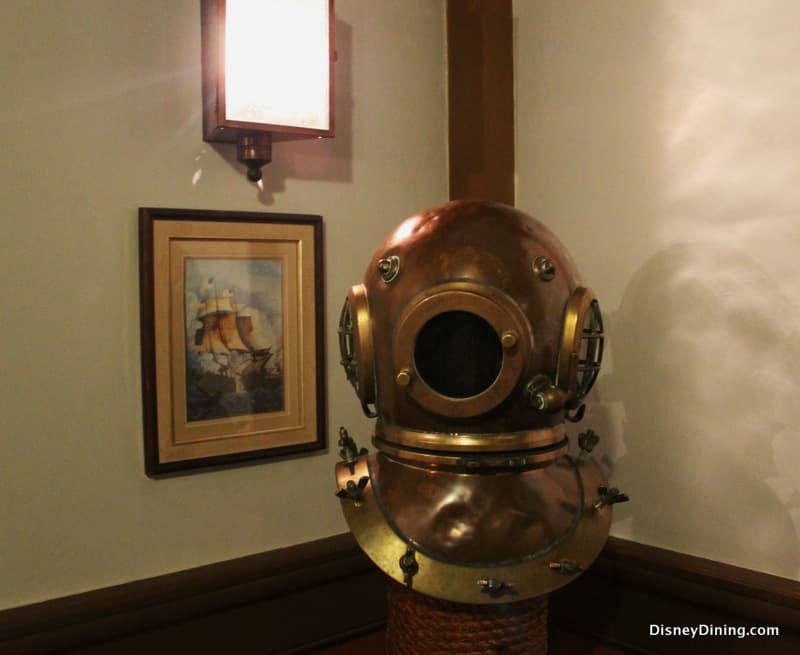 Columbia Harbour House is a dining homage to those that braved the high seas in search of new worlds. 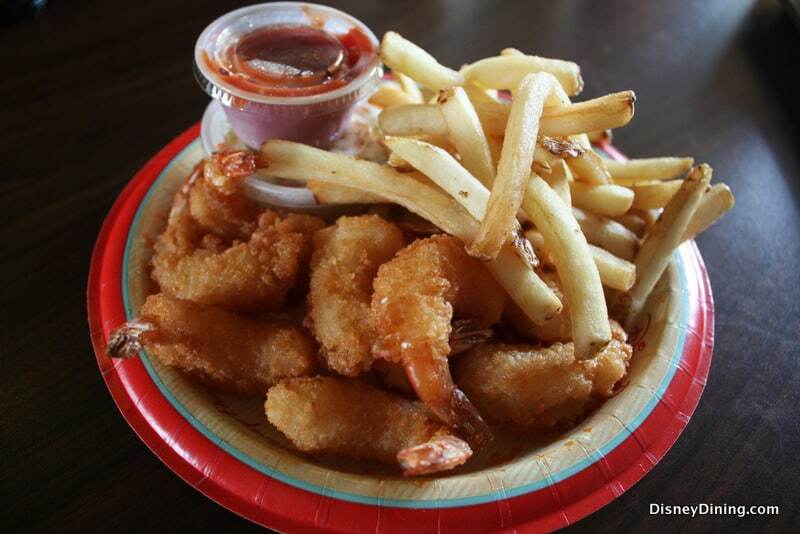 To have a completely nautically-themed day, plan to pair your meal with those attractions that are sea-faring in nature, including a cruise on the Liberty Belle steam-powered paddlewheel boat, a jaunt over to Tom Sawyer Island, a trip Under the Sea on Journey of the Little Mermaid, and, of course, a sail with The Pirates of the Caribbean. 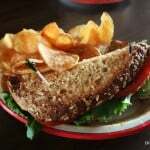 Just as important to finding a favorite restaurant in the town in which you live, so too is discovering a favorite counter-service eatery at each of the Disney Parks. Avast me hearties! 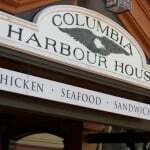 For us, Columbia Harbour House is that place! 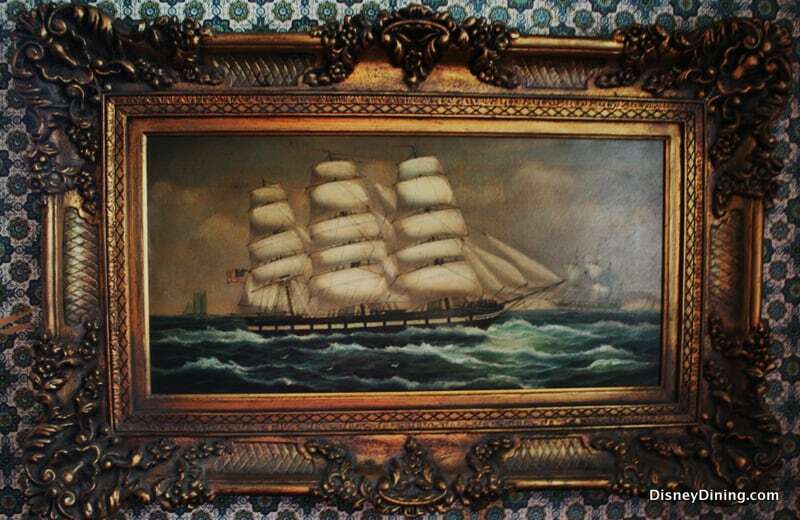 Columbus made four transatlantic voyages to the Americas, and my family returns to Columbia Harbor house every month. 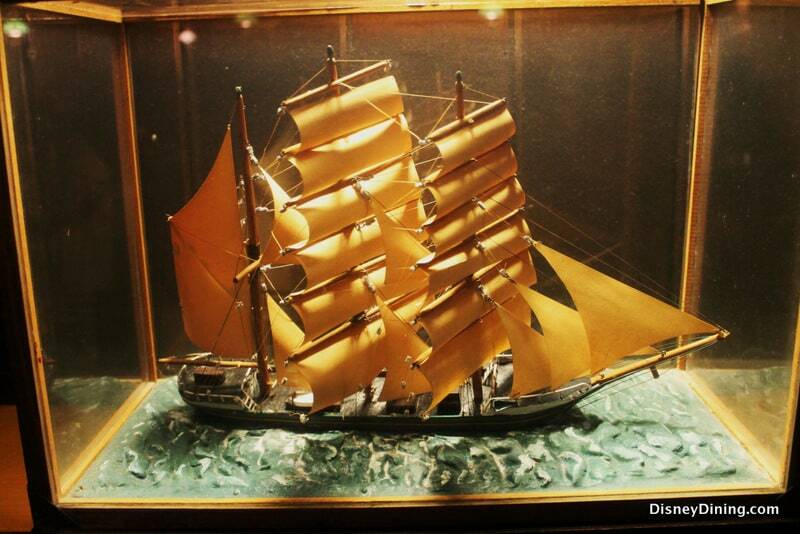 On your next trip to the Magic Kingdom, cast off your line, trim your sails, and head over to Columbia Harbour House! Keep a weather eye out for us, we’ll be the family singing sea shanties while heartily enjoying the fish and shrimp combo. Food: As a counter service restaurant, Columbia Harbour House offers traditional seafood faire, from fried fish to fried shrimp to fish sandwiches. Atmosphere: The Colombia Harbour House has a sea-side pub feeling, and is brimming with maritime flotsam and jetsam with lots of nautical antiques to admire and two floors to explore. 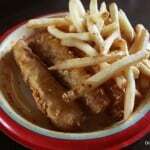 Service: The wait staff is friendly and accommodating, as is typical of Magic Kingdom counter service restaurants. 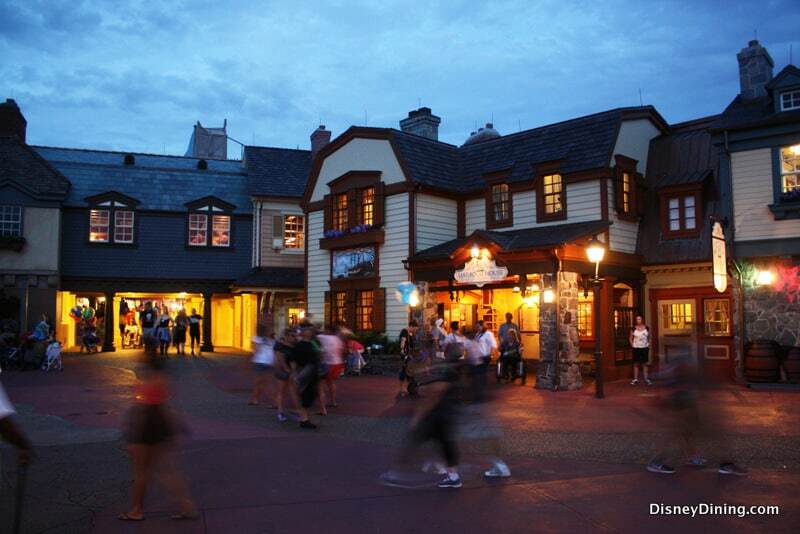 Tips: Find a second-floor window seat for a great of view the hustle and bustle in Liberty Square. Also, plan to theme your day in a nautical way, and enjoy some of the boat-themed attractions the park offers, including a jaunt on the Liberty Belle steam-powered paddle wheeler.